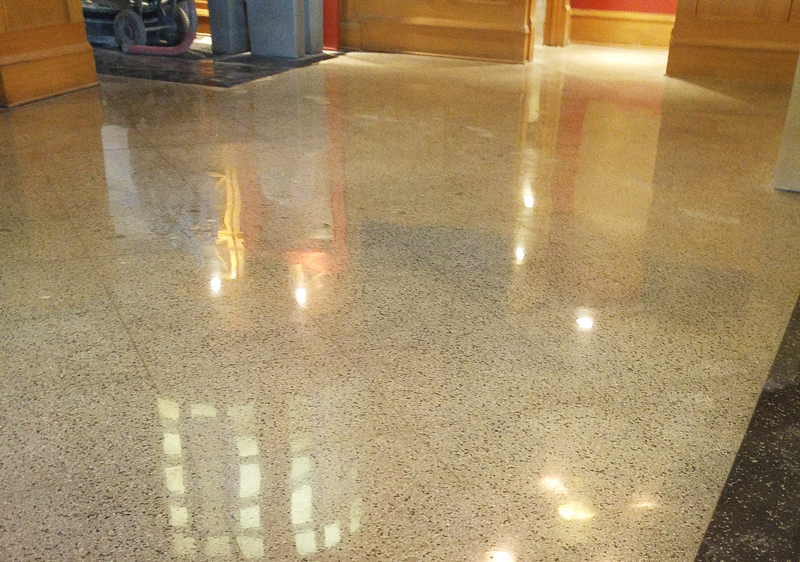 Bring your old terrazzo floor back to life! Terrazzo floors have been around for centuries – possibly dating back to the Egyptians. 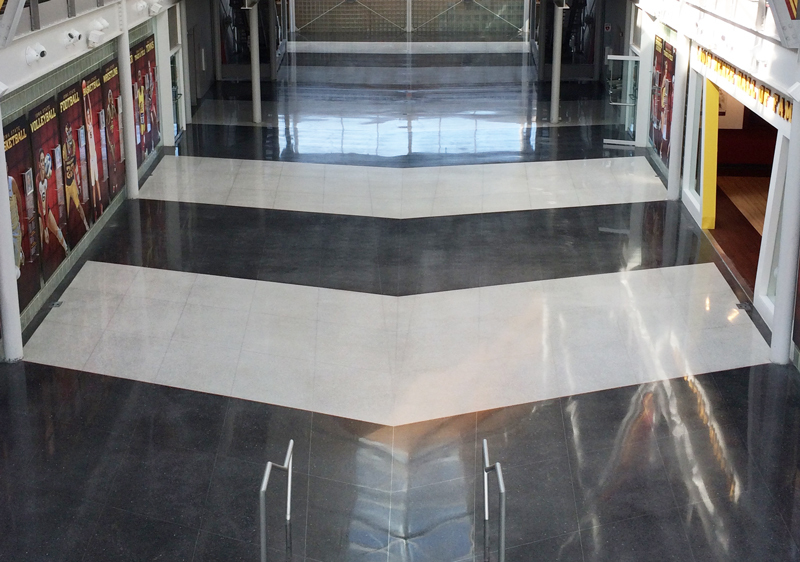 Terrazzo floors are created when concrete is mixed with colorant and granite, glass or marble chips, which provide color and shine. This is poured, then ground and sealed. In the past, this type of flooring included a coating that was easy to scratch and needed frequent waxing and buffing to maintain its appearance and shine. However, about 30 years ago, schools and government buildings were looking for better options because they no longer had the budget to keep up with constant maintenance. 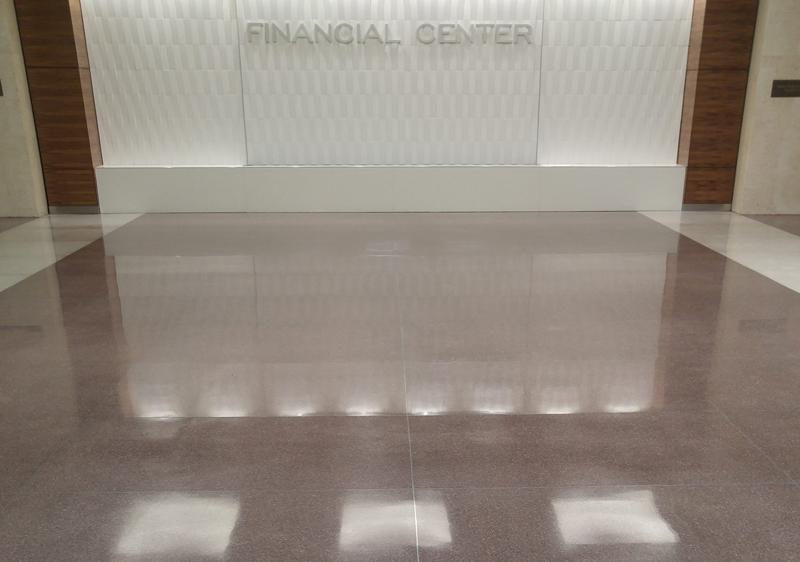 It was discovered that terrazzo floors can be mechanically polished, which provides a hard, shiny surface that does not need buffed or waxed. You get a new floor. 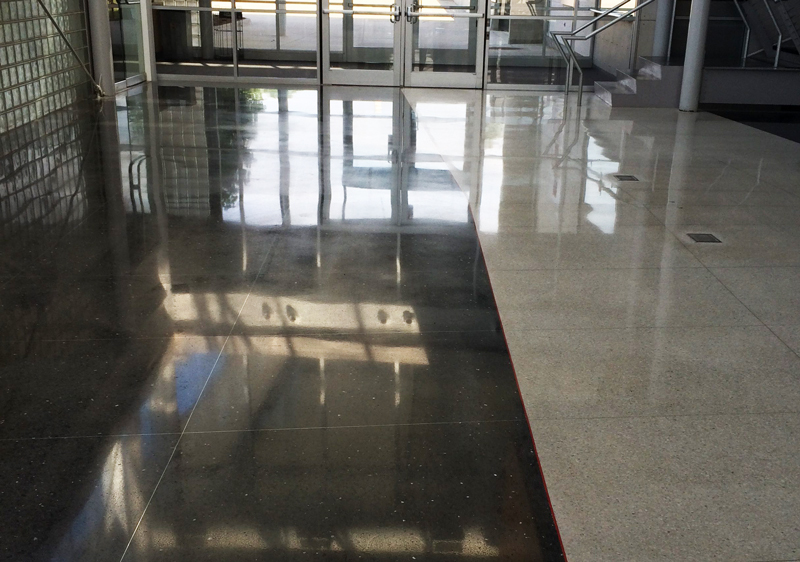 Re-grinding your terrazzo floor will revive the beauty and color of the original terrazzo underneath. Your floor will be more durable. Your floor will be virtually maintenance free – you won’t need to use waxes or coatings that can turn yellow over time and require the floor to be stripped every few years. Plus, you won’t need to wax and buff it every few weeks. In very high traffic areas, the floor may need re-burnished every few years, but that is a very quick, inexpensive process. You’ll save money on maintenance costs – both on maintenance products and labor. Your floor will be good for the environment – you won’t need to use any chemicals to clean it or install it.